QIC Group entity QLM Life & Medical Insurance Company – Qatar’s leading Health & Life Insurer is celebrating World Health Day by offering free medical check-up on 5th April (Friday) for all residents of Qatar. The campaign timings are from 8am-11am at Abeer Medical Centres (Abu Hamour & Industrial Area) & At Aster Medical Center in C- Ring Road, Hilal, Al Rayyan, Al Ghanim, Industrial Area and Al Khor. For the remaining healthcare centres, namely, Asian Medical Center, Al Rabeeh Dental Center, Naseem Al Rabeeh, SAC Mall of Qatar, Elaj Medical Centre, Apollo, Atlas, Future Medical Centre, Planet Medical Centre, Al Safa Medical Medical Polyclinic and Badr Al Samaa, the campaign timings are from 3pm-8pm. He further adds, “Qatar Insurance Group plays a key role in social responsibility at all levels – health, environment, sports and education. 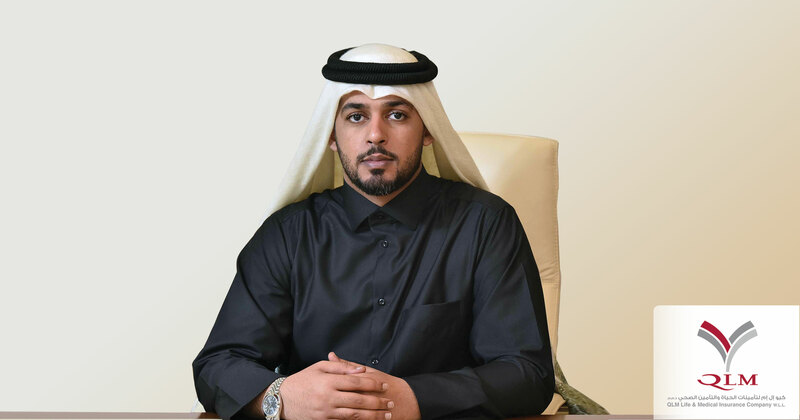 – and the initiative adopted by QLM, one of the Group’s subsidiaries, is not new to Qatar Insurance Group, which affirms its commitment to its social responsibility towards society in all its sectors in the State of Qatar. This event comes within the framework of the company’s social responsibility to improve the health of the Qatari society and in line with the company’s vision towards achieving the vision of Qatar National Vision 2030, and to highlight its role through continuing to provide the best insurance service to its customers. This initiative is a public invitation to seize the opportunity to receive a free medical check-up to promote the slogan of prevention better than cure. All Qatari nationals and expatriates (whether insured with QLM or not) can visit the nearest QLM Life & Medical counters located at the health providers to avail free medical check-up. Participants would only need to present their Qatar ID to avail the listed free services. At Abeer Medical Centers located at Abu Hamour & Industrial Area branches, participants can choose any of the specialties viz. Lipid profile i.e. LDL Cholesterol (Bad Cholesterol), HDL Cholesterol (Good Cholesterol), VLDL, Triglycerides, Total Cholesterol, Blood Sugar Fasting, Creatinine – Serum (Kidney Function), ALT (Liver Function Test), Blood Pressure, BMI (Assess Body Fat), Physician Consultation and Dental Consultation. At Allevia Medical Center participants can avail free Internal Medicine Consultation, Pediatrics Consultation, Obstetrics & Gynecology Consultation, ENT Consultation, BP, BMI, Blood Sugar, and Total Cholesterol. Whilst at Al Safa Medical Polyclinic participants can avail free GP Consultation, Dermatology Consultation, Dental Consultation, Temperature, Pulse, Respiratory Rate, BP, BMI, Blood Sugar, Total Cholesterol (only for above 35 years old), Skin Analysis, PFT, Eye Checkup (Screening), X-ray if advised by the doctor, and 25% discount on Dental procedures (offer valid for 7 days). The free medical tests available at Asian Medical Center are Internal Medicine Consultation, GP Consultation, Total Cholesterol, Urine Analysis, Random Blood Sugar, Body Mass Index and a 25% discount on follow up services. The free medical tests available at New Al Rabeeh Dental Center – Aziziyah Branch are Dental Consultation, X-Ray, 20% Discount on follow up services. At Al Rabeeh Dental Center – Muntazah Branch, participants can get free Dental Consultation, X- Ray and 20% Discount on follow up services. At SAC Mall of Qatar, participants can avail Dermatology Consultation, Dental Consultation, ENT Consultation, and Consultation for Obstetrics & Gynecology, Pediatric Consultation, Physical Examination, Examine Height, Weight, BMI, Glucose and Cholesterol. At Elaj Medical Centre, participants can avail Consultation GP, Consultation Urology, Consultation Physical Medicine, and Consultation Dental, X–ray, Calcium, Chloride, Potassium, Magnesium, Sodium, Phosphorus, CO2, ALP, ALT, Amylase, Creatinine, GGT, Glucose, T3, Urine Analysis, Urea, Albumin, Total Protein. At Badr Al Samaa participants can get free General Checkup by Doctor, ECG, Chest X-ray, Spirometry, Random Blood Sugar, Total Cholesterol, BMI, Height, Weight, BP. At Aster Medical Center in C- Ring Road, Hilal, Al Rayyan, Al Ghanim, Industrial Area and Al Khor, participants can get free GP Consultation (if required), CBC (if requested by physician), RBS, Kidney Function Tests (Urea, Creatinine, Uric Acid), Total Cholesterol, BP, BMI, and 50% discount on other services.